Waterside Ladies at NFWBA 2018 Presentation Lunch. end of the Championship Triples Final. Janet Ballard also added to her 2018 singles successes by becoming Bowls Hampshire Senior Singles Champion. Saturday 8th September 2018 - Waterside Men Shine at New Forest Finals. What a really good day for the Waterside Men Bowlers. Once again we punch well above our weight, Of the eight finals available to NF clubs Waterside were represented in five. Following brilliant performances we triumphed in 4. George Sumner Pairs: Chas Bunday & Alan Medley - Champions. Congratulations to all Waterside Finalists. 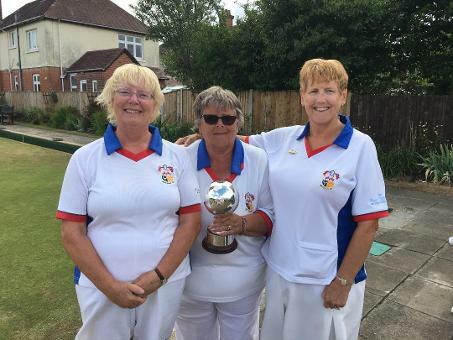 2018 - August Waterside Ladies Reach National Fours Finals At Leamington. Waterside Bowlers performed again by reaching the Ladies National Fours Finals at Leamington Spa on the 6th August. They lined up against a team from Huntingdonshire and a really tight game ensued. we went into an early lead but an unfortunate 5 at about end 8 put the scores very even. From that point on it was nip and tuck until the 21st end when Waterside , who were 2 down managed a super two to go into an extra end. Unfortunately it was not to be and our girls lost out on the extra end. It must be said however they acquitted themselves brilliantly and the club is very proud of their achievement. Well done Ladies. A few photos from the day below. Janet Ballard is scheduled to play in two Singles classes from the 9th August onwards and I'll let you know progress. Congratulations also to Both Dave Rowan (President) & Janet Ballard (Chairman) where Dave lost in the quarter final and Janet lost in the Semi-final stage of the tournament. This is a very tough tournament with men facing 7 rounds to the final and the ladies 5 all over 6 days. Also considering the field contained entries from Junior Internationals and also Tom Bishop , world champion of champions in 2014. They can both be very pleased with their performances. 2018 July - Waterside Ladies Get To LEAMINGTON. Massive congratulations to : Jen Medley, Sue Lewis Parker, Mary Ward and Janet Ballard who have qualified in the Rinks for the National Finals at Leamington. They play as Hampshire A on Monday the 6th August at 2 pm and will be playing Huntingdonshire in the preliminary round. Mary Ward will also receive her County badge this year due to their success. 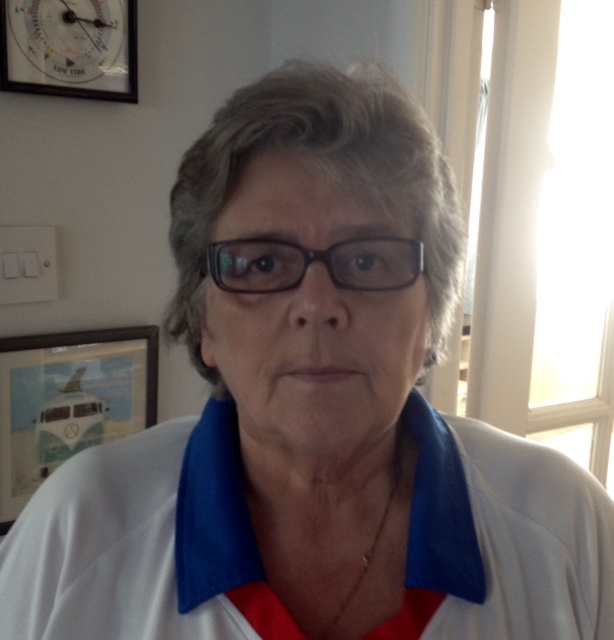 Janet Ballard has also qualified in the National and Senior Singles with her first match being in the National Singles as Hampshire C against Dorset on Thursday the 9th at 2 pm with the Senior Singles starting on Saturday 11th at 12.30.